The most well known national park in Sarawak has got to be the Niah National Park as it is home to the popular Niah Cave or Gua Niah - one of the world's largest limestones caves. The park itself covers over an area of forest and limestone, all together about 3,102 hectares (7,756 acres) in size. The highest peak of Gunung Subis dominates Niah National Park's overall landscape with its summit standing proudly at 394 meters high (1,294 feet). More than half the park is covered with limestone vegetation but this is only to be expected, as the park is a limestone area. Some of the common flora found is from the families of Balsaminaceae and Begoniaceae, both that are commonly seen at the entrance of the Traders' and West Mouth Caves. Aside from that, there are also peat swamp and mixed dipterocarp at Niah. It is not so easy to catch sight of the animals here, but some of the park's inhabitants include long-tailed macaques, trogons, flying lizards, squirrels, mouse deer, Rajah Brooke butterflies, hornbills, bulbuls, proboscis monkey, and water monitors. It is here, at Niah National Park, that the oldest human remains in South East Asia were found within the Great Caves, dating back some 40,000 years ago. 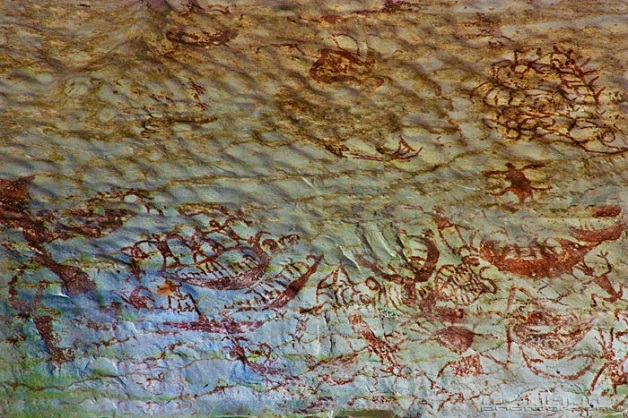 At Gua Niah, archaeologists and other explorers have found artifacts such as pottery, stone tools, ornaments, and other interesting artifacts including a set of red-hematite wall painting depicting human's activities many years ago such as hunting and fishing. These stick-like figures were believed to be drawn some 1000 years ago by an unknown artist, but its mysteries remain the pull factor for all tourist and visitors to the place. The awesome parts are the huge trees that seem to dominate the scenery. With it are ferns and creepers. Once you reach the entrance, you will definitely be awed at the huge opening of the cave - it is so big that it seemed to take over the entire façade of the cave itself! Where light shines at the entrance into the cave introducing itself to the darkness of the cave. Once you have quit gaping at the entrance, you may move on. From there, simply follow the cement steps and very soon, you will be engulfed in darkness, walking deeper into the belly of the cave. 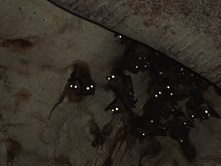 It is advisable to bring torchlight and a pair of gloves as you make your way through the guano (bats' droppings) covered plank-walk. The plank walkways are slippery and you will need to hang on to the railings. Surely you wouldn't want to slip in and join the guano! If you can't stand being in contact with guano, my advice is? do wear a hat as well. The Niah Cave is also very famous for its birds' nest. This is the famed spot where bird's nests collectors climb the walls using long poles and ropes in search of the expensive bird's nest. As you walk on, you will soon come across lights, glowing dimly in the dark corners of the walls?! These are the spots where the bird's nests collectors take their break. Collecting bird's nests is a very risky job, as the collectors will have to climb as high as 50 meters to get to the nests. This is not a deterrent to the workers as the demand for bird's nests is there. Bird's nests make delicious health soup, especially when boiled with rock sugar. It also has a nice crunchy taste to it. Because the income generated from bird's nests are so good, many people are willing to risk their lives in search of these "prized possession". Although bird's nest is good for our health, yet the collection of it actually damages the cave's ecology, creating problems like littering and unauthorized entry. However, now that the Forest and Museum department have their eye on this problem, it looks like things are pretty much settled. Aside from the interesting and famous Niah Caves, there is also another interesting must-see at the Niah National Park. The Painted Cave is located another half hour's walk away. You can recognize the Painted Cave immediately, thanks to its red colored wall paintings. The Painted Cave is also a national monument. Do not be daunted by the difficult walk to the Painted Cave. I'm forewarning you now that the journey to the cave is slippery and the area is actually fenced up. 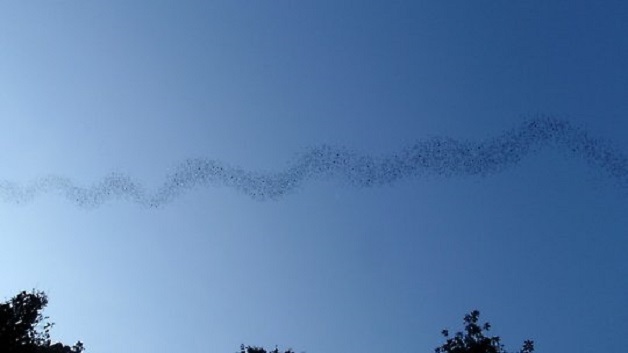 If you have the time and are able to stay on till late afternoon, then do watch out for the bats as they fly out of the cave. A flock of them flying out together is quite an impressive scene! 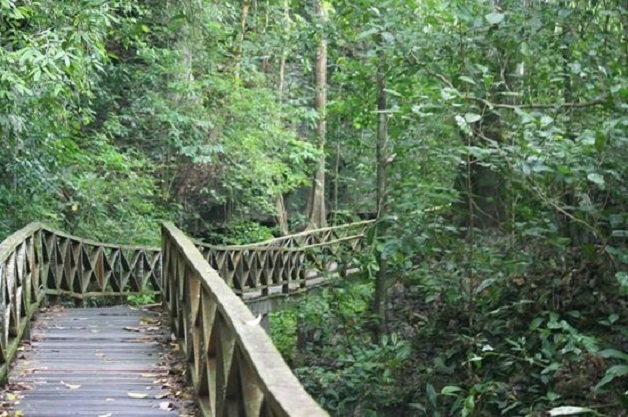 For the active person, Niah National Park is a great place for jungle exploration. There are two available trails clearly marked to ease your trekking session. The first one is named Jalan Bukit Kasut whilst the second one is called Jalan Madu. Make sure you bring some supply of food before going off on one of these trails. Aside from jungle trekking or forest exploration as some may like to call it, you may also go on a mountain climbing fun. Here's your chance to scale 400 meters of limestone ridge. 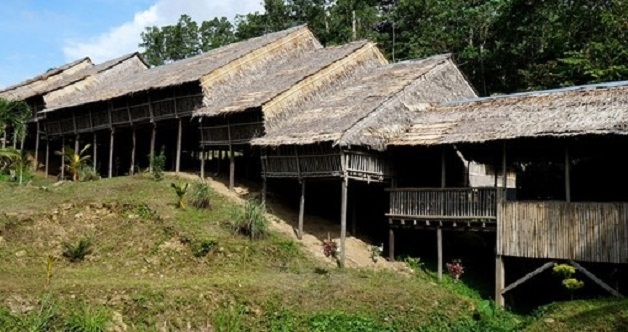 There are also the Iban Longhouses to visit if their lifestyle fascinates you. The Ibans are famous for being skilled craftsmen and here is your chance to visit them and check out their handiwork. If the Batu Niah Town catches your fancy, you may take a leisurely walk to the town via the riverbank and check out the stuff that is happening there. Renting a boat is also possible, however, you might miss out on some of the exciting things you might see on the way should you have taken a walk. So if you happen to pay a visit to Malaysia, Gua Niah, Sarawak is not to be missed.